An Out of Competition Sample was taken from Miss Walt, engaged in this event, on 12 June 2018 pursuant to GAR 79A. 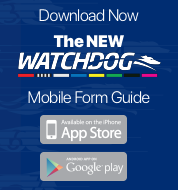 A pre-race sample was unable to be obtained from Maxworthy; a post-race sample was subsequently collected from the greyhound which placed second in the event. Triceps Brachii was quick to begin. But What For and Big Tilly were slow to begin. But What For faltered at the 300m mark and tailed off. Senor Ollie eased and failed to pursue the lure with due commitment at the 200m mark, collided with Triceps Brachii which was checked as a result. Senor Ollie and Triceps Brachii collided several times from the 200m mark to the winning post. News Print was vetted following the event. It was reported that the greyhound sustained no apparent injury. But What For was vetted following the event. It was reported that the greyhound sustained an injury to the right long head triceps (monkey) muscle. A 21-day stand down period was imposed. 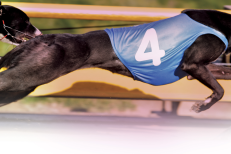 Stewards spoke to Mr Adam Wilcock, the trainer of the greyhound Senor Ollie, regarding the greyhound’s racing manners at the 200m mark. Senor Ollie was vetted and or re-vetted following event seven. It was reported that the greyhound sustained injuries to the right shoulder and general cervico-thoracic area, a 14-day stand down period was imposed. Acting under GAR 69(B)(1), the stewards charged Senor Ollie with failing to pursue the lure with due commitment (by reason of injury). Mr Wilcock pleaded guilty to the charge, Senor Ollie was found guilty and stewards directed that the greyhound perform a Satisfactory Trial (all tracks) pursuant to GAR 69(B)(1)(a), before any future nomination will be accepted.